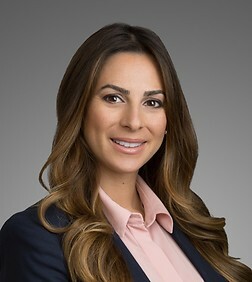 Elizabeth Berman Barcohana is an associate in the Business Trial and Entertainment, Technology and Advertising Practice Groups in the firm's Century City office. Elizabeth is also a member of the firm's Song-Beverly Class Action and Fashion, Apparel & Beauty Teams. Elizabeth represents clients in consumer class action litigations alleging various business torts, breach of contract, unfair competition, false advertising, violations of the Consumer Legal Remedies Act, violations of the Song-Beverly Credit Card Act, and violations of the Invasion of Privacy Act. Elizabeth also works on matters involving the protection and enforcement of intellectual property rights. Her experience includes the utilization of creative approaches to these matters, which often result in pre-litigation resolution. She also advises clients with regard to a broad range of very specialized areas of the law, including for example compliance under the federal Consumer Products Safety Improvement Act and California's confidentiality regulations concerning adoption records. Ms. Barcohana is active in several local and national non-profit organizations in Los Angeles, and serves on the board of directors of The Society of Young Philanthropists and Friends of the Israel Defense Forces – Young Leadership Division.